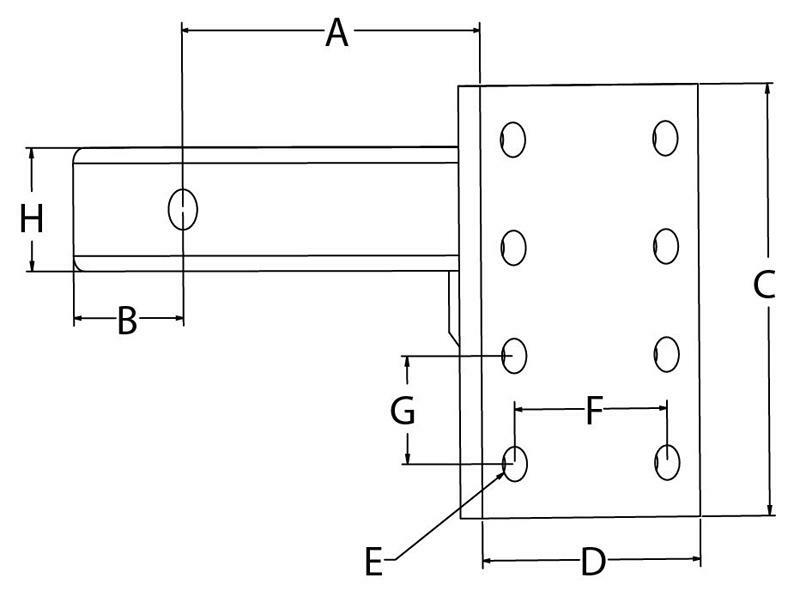 Solid shank pintle hook mounting plate for 2 inch receivers. See specifications below. The combination pintle hook is equipped with 2 inch chrome ball with positive locking latch and tethered pin. 16,000 lbs gross trailer weight rating / 3,000 lbs tongue weight rating. Ball capacity is 7,000 lbs. Also included are four grade 8 bolts, nuts and washers to attach the pintle hook to the mounting plate and a 5/8" diameter pin and clip for mounting the assembly in any 2 inch receiver. 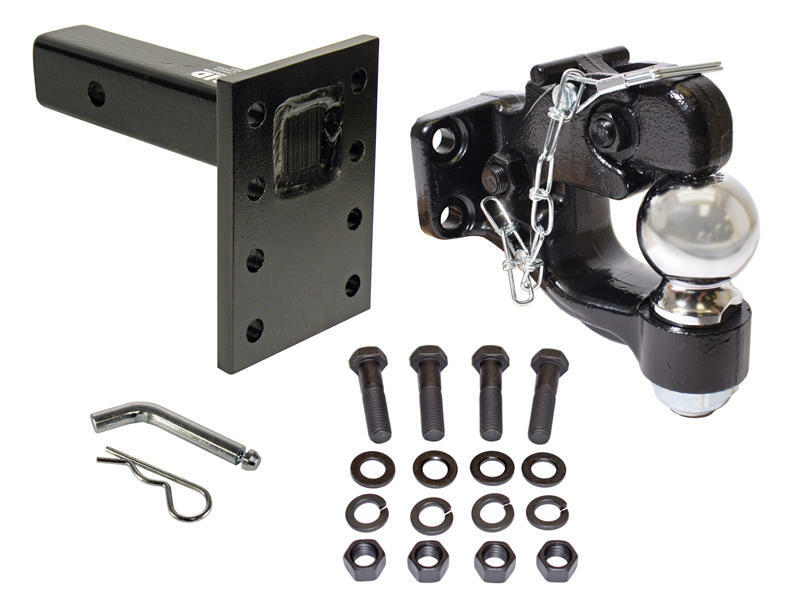 Pintle hook has the standard bolt hole configuration - 1-3/4" x 3-3/8"